A deranged woman fatally stabbed an expectant mom before cutting a baby girl from the dying victim’s womb. The baby - later named little Genesis - miraculously survived the Bronx horror. 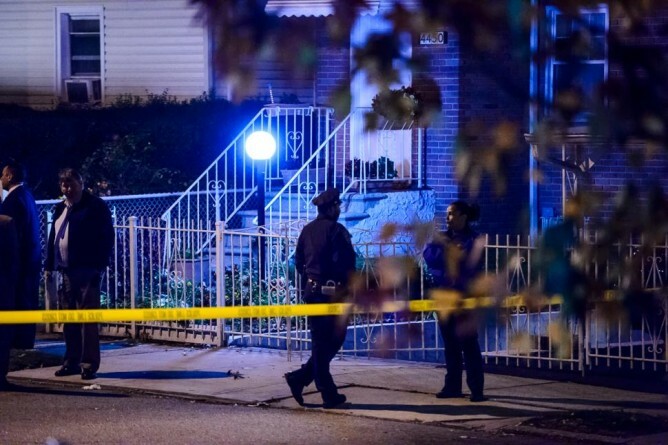 The newborn was taken to Montefiore Medical Center and listed in stable condition hours after her mother was murdered. The mom, Angelikque Sutton, was 8½ months pregnant and preparing for the baby’s arrival on Dec. 2. But the 22-year-old mother’s dreams of rocking her newborn daughter in her arms came to a grisly end inside Ashleigh Wade’s apartment on Monticello Ave. in Wakefield, cops said. Wade, also 22, allegedly strangled Sutton, then cut the young woman’s throat before knifing her in the stomach about 2:30 p.m., cops said. Little Genesis was expected to survive — a miracle in itself, cops said. “Usually when something like this happens the baby is dead,” a police source said. Patrick Bradley, Sutton’s boyfriend, was in a state of shock as he tried to see the baby at Montefiore Friday night, but was told he couldn’t because of the pending investigation.